The other day I had a small little victory. My oldest daughter, who is five years old, spilled her milk at the table. It was an accident, but when she did it, she was trying to fight with her younger brother. He was bothering her at the breakfast table and she thought she would just push his highchair away from the table. Instead, her milk spilled all over her, the chair, and the floor. Immediately I could feel the frustration rise up, but I pushed it aside and responded calmly. They were all so shocked by MY tempered response, there was no sound after that. They all sat quietly eating their breakfast without fussing or complaining. Later that day I totally lost it, but we’ll focus on the small victories, right? When it comes to my children, nothing gets me riled up more than messes. I can overlook the toys strewn everywhere, but when food, drink, or trash starts to pile up – I lose it. Messes get me most messed up with my temper. 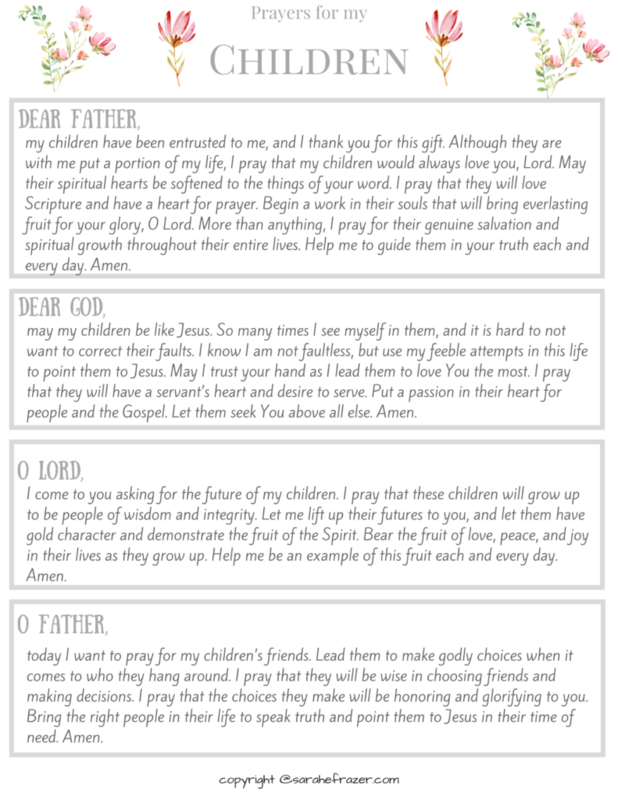 As a special gift to you, my dear friend, I wanted to give you a printable of sample prayers you can pray over your children. 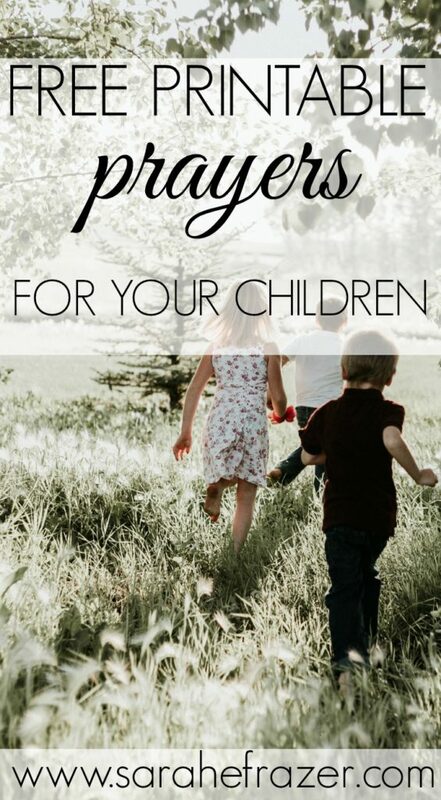 Prayer is not the answer to our problems with our children, but prayer is a seed we can plant. Get it for FREE! 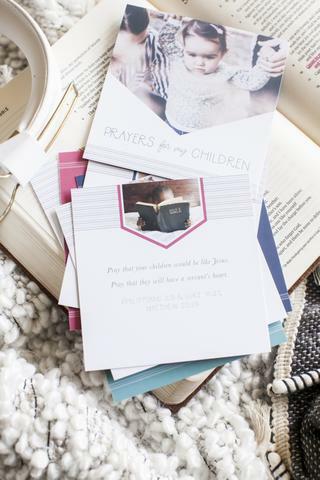 A free devotional based on Psalm 90!